On December 7, 1941 US Naval Base Pearl Harbor was attacked and fully brought the United States into World War II. A year later food rationing was in place to ensure fair access to diminished supplies of items such as sugar, canned goods, and red meat. Fast forward 73 years to December 7, 2014. As a learning experiment and tribute to the women who brought us through the rationed years, I am living a year by WWII food rationing rules. My name is Becky and I am the WWII Foodie. Want to order the book that started it all? Adeline was known for her cakes and fudge. Edith baked farm fresh pies. 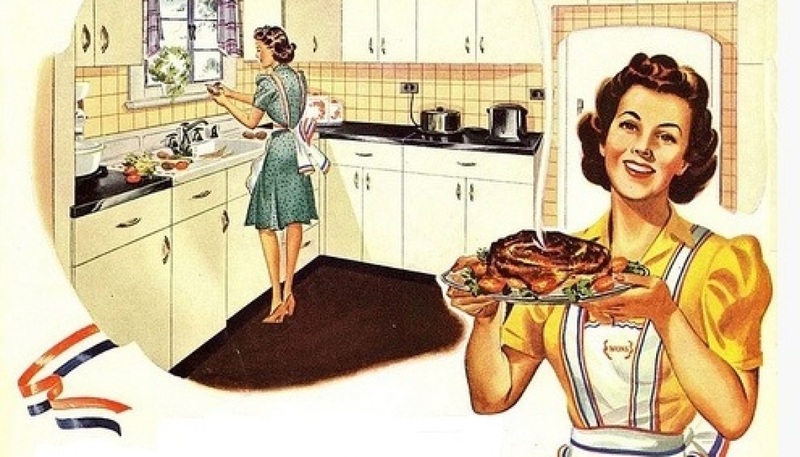 Mabel was the master of baked beans, pickles and steamed cherry pudding. Barbara was adventurous and never backed down from a challenge in the kitchen. Their lives spanned the invention of refrigerators, electric ovens and microwaves. They cooked on farms in times of war and rationing. And above all else, they cooked for big family celebrations where food became the most loved traditions. In a collection of recipes which span over 100 years, the Generations Cookbook chronicles the kitchen legacies of three generations of rural Wisconsin women. 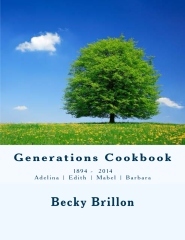 Compiled by Becky Brillon, Granddaughter, Great-Granddaughter and Great-Great Niece of the cooks, this book honors the lives and recipes that centered the heart of their homes.